Updated results of a phase Ib/II study of polatuzumab vedotin plus bendamustine and rituximab (Rituxan) or obinutuzumab (Gazyva) in patients with relapsed/refractory follicular lymphoma or diffuse large B-cell lymphoma (DLBCL), were presented at the 2017 European Hematology Association (EHA) Congress in Madrid, Spain. Historically, transplant ineligible patients with relapsed/refractory follicular lymphoma or DLBCL have demonstrated poor outcomes. 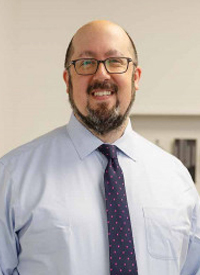 In an interview with OncLive at the congress, lead author Matthew J. Matasar, MD, attending physician, Memorial Sloan Kettering Cancer Center, discussed the potential of polatuzumab vedotin in this patient population. OncLive: Could you provide some background on polatuzumab vedotin? Matasar: The family of drugs known as antibody-drug conjugates (ADCs) is being developed across the range of hematological malignancies. The successful one so far is brentuximab vedotin, which is approved by the FDA in classical Hodgkin lymphoma, and a form of T-cell lymphoma called anaplastic T-cell lymphoma. That is an antibody that binds to the surface protein; attached to the antibody are cytotoxic agents. This whole conjugate is internalized by the target cell. The toxins are released intracellularly and act. This ADC acts like a “Trojan horse” by sneaking into the cancer cell and releasing the toxins. ADCs attack different antigen targets. This is how polatuzumab vedotin works. It is directed against CD79b, which is expressed across the full spectrum of B-cell malignancies. Please provide an overview of your presentation. We are presenting the first 2 portions of a 3-part study that involves a safety trial and an expansion phase II arm. We are looking at the combination of polatuzumab vedotin with bendamustine and a CD20 antibody of choice—rituximab or obinutuzumab. We are looking at this combination in follicular lymphoma as well as DLBCL. The safety trial was just making sure that this would be a safe triplet. Initially, we treated 6 patients with each histology with each of the CD20 antibodies and then we expanded the trial to treat an additional 20 patients with each histology with the triplet using obinutuzumab as the antibody. What are the findings so far? What we found is that the combination is relatively tolerated, and shows very promising activity. The main toxicities were related to immuno-suppression, which you could expect from bendamustine-based therapy. We found some neuropathy, which had previously been a concern—but it makes sense because of the monomethyl auristatin E (MMAE) payload of polatuzumab vedotin. But, it was actually less than we had expected. Only 1 in 3 patients had grade 1 or worse neuropathy. There were only a few cases of grade 2 or worse, and the majority of the cases of neuropathy were self-limited. We have over 90% overall response rate in follicular lymphoma, many of whom were heavily pretreated patients. In particular, in the relapsed/refractory large cell lymphoma elderly population who were not-transplant eligible, we had an overall response rate of 60% and complete response rate of 40%. This is not what you would expect from bendamustine alone, and it is pretty convincing, at least to me as an investigator, that polatuzumab is doing something important here. It is not just the response rates but it is also the durability of response. Of the responders to follicular lymphoma, all but 3 had ongoing responses at the time of data lock. In DLBCL, the vast majority of patients experienced ongoing responses with the longest at more than 2 years. It is pretty impressive, and definitely tells me that this is a combination worth exploring further. What is the potential impact of this regimen in this poorer-outcome population? What is important here is not the CD20 antibody but it is the inclusion of the ADC polatuzumab vedotin. I think the activity here is meaningful, both in DLBCL as well as in follicular lymphoma. Where the future of this drug goes remains to be seen. There is ongoing work looking at it in the relapsed patient population, and we are currently in the midst of designing a study comparing RCHOP versus RCHP plus polatuzumab vedotin. Is there any other work being done in this landscape that you are finding particularly interesting? There is a lot of work going on in relapsed DLBCL and follicular lymphoma. They are common illnesses that we need and want more variety of therapeutic options for.